DoubleOJay is a 300L student of Uniben who droped this dope track surprisingly on the campus-wide star flux. His first appearance on this list replicates a real talent beyond doubt. 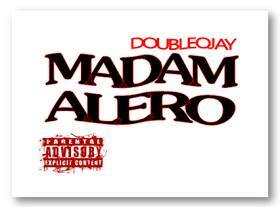 Madam Alero a comic but a true life story afro-pop music as aclaimed by this youngstar. When i personally got the song press release which is 3:14 in length, i was like wow this guy is the new Banky W we are having because what i saw is an already planned video before even recording which shows acute self evaluation. He said and i quote “the song is basically a comic song which is about me been seduced by a woman far older than me, at first! I was kinda resisting but later was hmmmm…..a different story!..”. The music was produced by the No 1 Edo Producer DocSyde of DocSide Studios. Take your click download n enjoy.